When it comes to a bathroom renovation, one of the most important purchases to make will be the shower. After all, the shower is an essential space in any bathroom – it needs to be practical, but also attractive. This is why it pays to invest in quality. There may be many types of showers available in Perth, but unless it’s a quality shower, you’re heading for trouble. And when it comes to quality showers, those offered by Lakes Bathrooms are in a class of their own. Best of all, they are available in Perth exclusively through Alpine Building Products. Today, we’ll take a look at just some of the reasons why it pays to invest in a quality shower – in particular, those in the Lakes Bathrooms’ range. Hopefully, when you’re done reading this post, you’ll agree with me and purchase one for your bathroom. Have you noticed how showers get cloudy and dirty after only a few months of use? That’s because such showers use standard glass, which tends to accumulate soap scum and limescale. What’s worse is that it becomes really difficult to clean, and over time, it may even stain your glass. Imagine if you had a shower that was immune to soap scum? Now you can with a Lakes Bathrooms’ shower. Every shower in our Lakes Bathrooms’ range is treated with a unique AllClear coating. AllClear is an advanced technology which repels water and prevents glass from accumulating lime scale and soap scum. Think of AllClear coating as a self-cleaning technology for the glass. Every time water splashes on it, it is repelled away. This makes our showers much cleaner and clearer than standard showers in Perth. It also makes them incredibly easy to clean and maintain. All you need to do is give the glass a quick wipe with a cloth, and it’ll look good as new! AllClear is an eco-friendly product which helps the environment in more ways than one. First, it makes your bathroom more hygienic. This is because foreign materials such as fungi, bacteria or mould will never accumulate. Secondly, given that our showers are easy to clean and maintain, you’ll never need to resort to harsh chemicals. You can safely do without having to purchase any chemicals that may be detrimental to you or the environment. And, this works out much better for your pocket too. Most importantly, when you purchase a Lakes Bathrooms’ shower, you can rest assured that you’re purchasing a quality shower. Our showers are manufactured to the highest standards of artistry, and they surpass Australian quality standards. They are also made using eco-friendly materials, and are designed to withstand the lifespan of any other shower! They are backed by an amazing lifetime guarantee, which covers the material and manufacturing defects. By investing in a quality shower from Lakes Bathrooms shower, you can rest assured of having any shower problems for life. And if you do face any problems, a replacement will be provided free of charge. Most other shower manufacturers in Perth don’t offer lifetime guarantees. This goes to show that we trust that our showers are of the best quality possible. While you may find cheaper showers in the market, understand that you get what you pay for – low price equals low quality. They won’t last long and you may face a lifetime of problems. However, if you pay a little more upfront and invest in a Lakes Bathrooms’ shower, you’ll get better value for money. Our showers will last you many years without any problems, and you’ll never feel the need to upgrade. Moreover, given that our showers offer low maintenance and are hygienic, you’ll also save on cleaning and maintenance costs. Over time, investing in our showers will pay off much better than purchasing a cheap shower today. It always pays to invest in quality showers in Perth, such as Lakes Bathrooms’ showers. Our range of Lakes Bathroom showers features AllClear coating, which prevents materials from accumulating on the glass. AllClear is hygienic, environmentally friendly and easy to clean. Moreover, our showers are the highest in quality and are backed with a lifetime guarantee – this means better value for money for you. 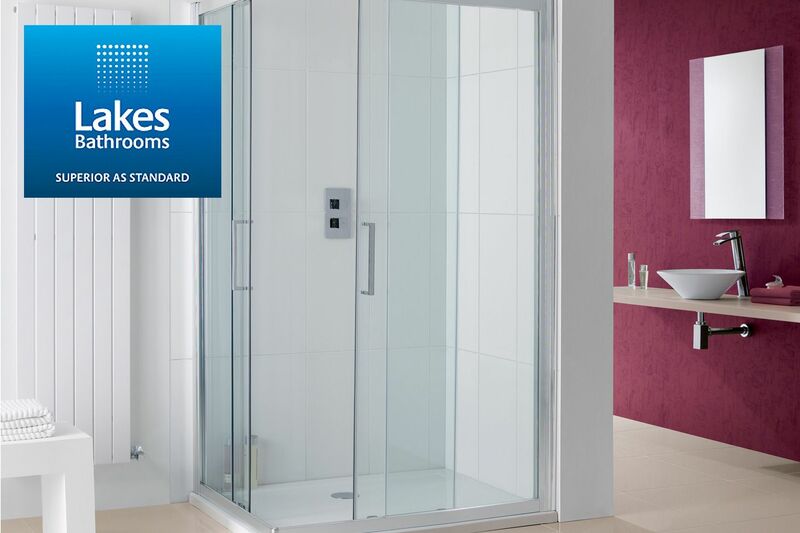 For the best showers in Perth, look no further than Lakes Bathrooms’ showers available through Alpine Building Products. To purchase our showers in Western Australia, get in touch with your nearest Alpine retailer today!